Thanks for visiting the Orthotic Shop! 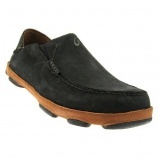 If you are looking for healthy footwear, you came to the right place. We take pride in being one of the top orthopedic shoe stores available, carrying a variety of foot care products that help our customers deal with common conditions such as plantar fasciitis, heel pain, flat feet and diabetic foot care. We strive to provide your body a solid foundation. 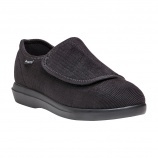 We offer orthopedic shoes and orthotic insoles from some of the most respected brands in the world! Browse in our specialized categories to see footwear from top brands such as Aetrex Shoes, Answer2, Vionic, Orthofeet, Softwalk and many more. Take a proactive position on the health of your feet and invest in a pair of orthotic shoes and replacement insoles to prevent or remedy foot aches and pains. 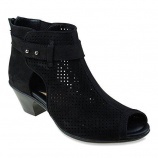 While your stylish pumps might look great, most footwear isn’t designed to help you get comfortably through the day. Orthotic insoles slip into your favourite pair of shoes to provide that tender-love-and-care your feet need. Having proper orthopedic arch support helps alleviate discomfort from common foot conditions such as plantar fasciitis, flat feet, heel pain, bunions, hammertoes and over pronation. We are proud to carry orthotic insoles from the best companies in the industry, including Spenco and Powerstep inserts. Available in a variety of sizes, styles and fits, our high-quality insoles make it easy to find the right support for nearly any activity, from all day work wear to a pair of insoles that give your slippers a little extra orthotic support. Orthopedic open-toed shoes are a perfect example of casual footwear. In fact, comfortable, supportive sandals are one of the best-selling categories on our site! To avoid flat feet with your current pairs, you can purchase insoles designed explicitly to fit inside your summery footwear. In addition to inserts for sandals, we sell a number of sandals with built in orthotic arch support to slip on! Shop for orthotic shoes with healthy confidence as you choose from different styles including slide-on, thong-style, Velcro or any combination of those! Whether you’re looking for a pair of steel toe work boots to keep your feet safe at your construction site, or a pair of black oxfords to wear to the board room, Orthotic Shop has your work footwear covered. We offer orthotic shoes from some of the most popular manufacturers of foot health products, including Caterpillar, Propet, OluKai, Cobb Hill, Trotters and Drew Shoes. If you’re in the medical or restaurant profession you’ll love our orthotic Klogs, Sanita, and Softwalk slip-resistant professional work shoes designed to keep your feet comfortable even after an entire shift. If you’re looking for something for the outdoors, our selection of orthopedic waterproof shoes and boots will keep you warm in the winter months and your feet dry during those surprise summer storms. When it’s time to dress to impress, Orthotic Shop offers an impressive variety of fashionable footwear that will match even the trendiest outfits. From orthopedic heels and pumps to timeless formal oxfords, it’s easy to find the orthopedic dress shoes for women that matches your personal fashion flair. We offer the latest from the best healthy shoe brands in the industry like Ros Hommerson, Vionic, Aravon, and OluKai and we work hard to bring you the freshest fashions in footwear while giving your feet the support they need. Awesome shoes.This is my 6th pair of these shoes over the years because they have helped my feet with plantar fasciitis. If you suffer from a serious medical condition, or if you just want to make sure you get the most comfortable fit possible, the best foot health products are the ones built specifically for your feet. Fashioned using a mold of your feet, our custom made orthotic shoes and inserts are the healthiest fit imaginable and will provide maximum comfort. Whether you’re purchasing a pair of therapeutic shoes, or getting custom orthotic insoles you never have to worry that you’ll end up spending money on something that doesn’t work. The Orthotic Shop has been providing “custom made orthotics" backed by a fit-guarantee since 2005. If you order foot care products and they don’t fit the way you want it, simply return it and pick out another pair or get your money back. At Orthotic Shop, we pride ourselves in having one of the largest selections online of hard-to-find extra wide orthotic shoes for both men and women. Since finding a pair of footwear is the first step in promoting podiatric wellness, most orthopedic or therapeutic shoes in our selection are also available in half sizes, which you means our shoes will fit your feet no matter their size! Looking for a specific kind of shoe or foot health product? The Orthotic Shop has an advanced search engine to help you find what you need. Simply type in a search phrase at the top, for example, 'women's wide shoes' or 'men's extra wide shoes' and the system will give you relevant shoe styles to choose from. Our easy to use shopping experience is one of the reasons we are a top orthopedic shoe store, and we’re constantly updating our website to help you find the healthy foot products you need as quickly as possible. If you want to find the right solution for your specific orthotic needs, check out our foot condition section. Whether you’re suffering from plantar fasciitis, diabetes, hammertoe or many other common podiatric conditions, we’ll help give you the orthopedic products you need to find the proper orthotic or diabetic footwear and support. If you have a question that you can’t find the answer to, feel free to email, call or hit the live chat button. Customer service is available by phone Monday-Friday but we answer emails all the time, even on weekends. Our secure checkout system will keep your information safe and secure. We offer payment solutions from Amazon and Paypal, two companies with years of experience in keeping your information secure. 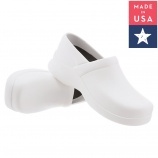 All shoes and orthotic products are shipped free to USA addresses. Some brands (Vionic/Orthaheel, OluKai, Spira, Cobb Hill) have free return shipping no matter what! Plus, the Vionic with Orthaheel Technology brand has a 30-day comfort guarantee. If you not satisfied with these healthy shoes, you can return it within 30 days for a full refund. Be sure to sign up for our newsletter to receive promotional discount codes and enter to win a pair of SOLE Insoles. We’ll never sell your email address, and we won’t send you pointless emails either. Instead, you’ll only get information on the latest deals from the best orthopedic shoe store online for foot health products and comfortable footwear, Orthotic Shop!